Wall safes and floor safes are mounted in the wall or the floor accordingly and actually fixed to the structure of the building so that they will be extremely difficult to remove. Floor safes are used for business security because they are easily hidden, heavy and have thicker walls than most safes. These are probably the strongest safes available. Wall safes are an excellent choice for homes and businesses. These can be used to protect cash and valuable belongings. Both types of safes need to be installed properly by experienced professionals. Hulk Security Systems provides these safes and the professionals to install, repair and maintain them throughout NYC. Safes mounted in the wall are most often used for residential security where there are fewer valuables to store. You should get a safe of a practical size to suit your needs. There is no point in having an over-sized floor safe if you will only be storing a few documents and heirlooms. Wall safes can be easily concealed behind paintings or bookshelves. Regardless of what type of safe you decide to get, be sure to consider the available space that you have. 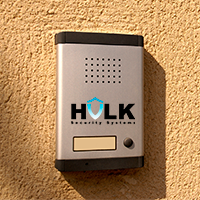 The professional technicians at Hulk Security Systems can come to your home or businesses and take proper measurements while offering a free estimate with no obligation. If you need more security, wall and floor safes are a wise investment.